Preventing chips in your teeth can easily be done. However, knowing some tips to make your teeth stay in the best shape is essential. With the best dentists in Charlotte letting you know some tips and tricks, you can ensure that these tips are the best ones out there. Of course, if you do notice chips in your teeth, it is important to speak with the dentist near you to find out how they’re able to help fix the problem. Chips happen. Your teeth are used on a daily basis and because of this, they have to be well cared for. Here are some tips to ensure that your teeth are in the best shape possible. Plus, they can help prevent those little chips that might happen. Bruxism is a leading cause of chips in the teeth. This is from grinding them throughout the night or even during the day. Finding a way to treat this condition can reduce the chances of having chipped or broken teeth. Decay is another reason why teeth chip, break down or crack. Having the proper oral hygiene and visiting the dentist regularly can reduce the amount of decay that is found on the outside of the teeth. Playing high impact sports can cause chips, breaks and other damages to the teeth. Reduce the chances of having something like this happen by wearing the proper gear while playing. If you’re worried about the chips in your teeth or want to protect them against chips, speak with a top dentist in Charlotte today. Give our office here at Belvedere Family Dentistry in Charlotte, NC a call. 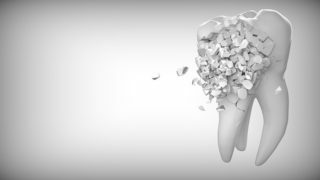 Our dentists can provide you with the best course of action to ensure that the chips, breaks and cracks that you get are reduced through the best methods. Set up an appointment today. In the same way that preventive care is one of the most important elements of dentistry, a regular cleaning of the teeth is one of the most important elements of preventive dental care. Teeth cleaning is available from most general dentistry offices and is one of the services available from a Uptown Charlotte dentist. Maintaining white teeth and a confident smile is easy with the help of a dentist, and getting regular checkups from a Uptown Charlotte dentist helps you prevent problems before they even start. How Often to Get a General Checkup Most people find that they can see a general dentist once or twice a year to maintain a healthy smile. As an adult, you know that you need to take care of your teeth. Whether you’re trying to maintain the healthy smile that braces gave you decades ago or you want to prevent huge problems with decay, going to the local dentist office is part of your regular routine. However, a children’s dentist is just as important when it comes to your kids’ dental hygiene. Perhaps you are young, or maybe you have always taken good care of your teeth. Therefore, you have not made many steps to prevent gum disease, specifically. In your mind, such a problem may seem years away or even a complete impossibility. Instead of allowing this disease to run you down later on, take preventative measures now. A number of reasons exist to do so. WHAT DO I NEED TO KNOW ABOUT A ROOT CANAL TREATMENT? When your kids are complaining of a toothache, you know that you need to call up the children’s dentist. While maintaining regular appointments is important, so is knowing about other times when you may need to visit the local dentist office for your kids.